Regardless of your politics, you need to respect what a soldier does and the toll the job can take on a body and a mind. The perks are few, and the cost can be great — many return physically battered or with mental outlooks on life forever changed. That’s where the Ride 2 Recovery program steps in. 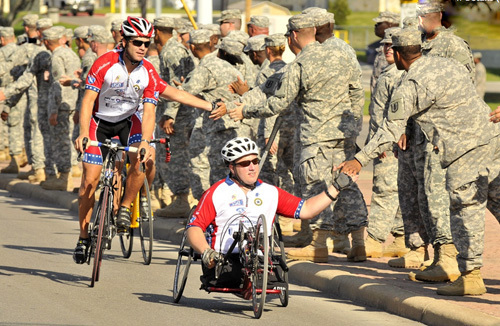 This non-profit organization seeks to help ex-soldiers by assisting in mental and physical rehabilitation via bike-based initiatives. 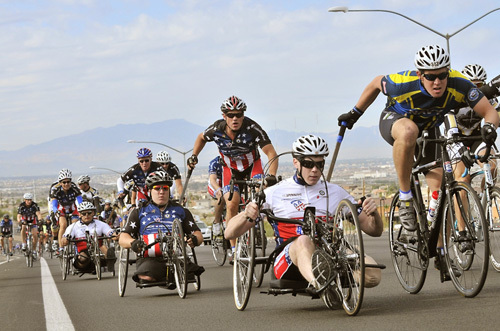 From purpose-based group rides to outfitting injured vets with special bikes, the organization uses cycling as rehabilitation. 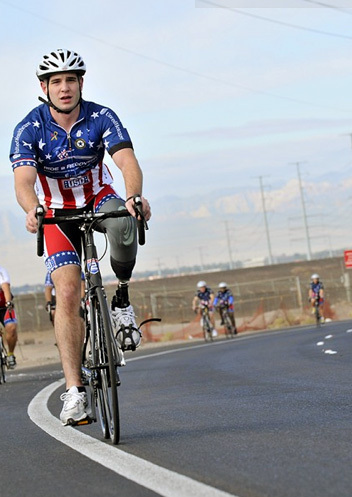 The California-based program puts vets on bikes and provides fitness challenges for them. It supports indoor spinning recovery classes in gyms and a variety of outdoor cycling programs, partnering with military groups and VA hospitals across the U.S. to reach the people who need it most. Why cycling as a focus? The organization cites cycling as an activity in which almost all patients with mental or physical disabilities can participate. Ride 2 Recovery focuses on multi-week challenges for vets to help get back on track as well as one-day “honor rides,” which are fundraising events. I spoke with John Wordin, the organization’s president and founder, at a cycling event this summer. He told me the group has put amputees on custom-built bikes and seen them ride incredible distances. “Because of their soldier training, they’re tough. They won’t quit. One guy’s seat broke and he refused to quit. We had to go buy a seat at a local shop so he could finish the ride,” Wordin said. Bike brands including Shimano, Kenda, and Rudy Project sponsor the rides. Sponsor Raleigh Bicycles has gone an extra step and joined forces with Ride 2 Recovery to aid in the fabrication of special-needs bicycles. Raleigh plans to contribute 700 bicycles to the program and support shops that will promote and sponsor Ride 2 Recovery events. To learn more, get involved, or to donate to this cause, see the Ride 2 Recovery site.